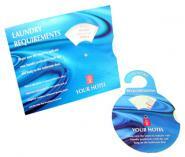 The hotel supplies on offer in our Popupmailers.co.uk range include door hanging signs, point of sale information for reception and public areas as well as guest information products for in hotel rooms. The first item we introduced in our hotel supplies range was the "Do Not Disturb Sign" you will be familiar with, printed with the same message on both sides. Due to its’ success we soon added more signs such as "Do not Enter", "Unoccupied Free for Cleaning" and "Cleaning in Progress" all of which are in the well-recognised standard door hanging style.The novel door hanger for laundry requirements provides a tidy alternative to the instruction to “throw your towels in the bath if you want them washing”. 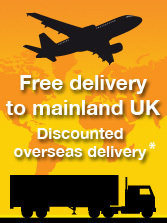 In addition to the regular hotel supplies we also offer a very novel idea – fun door hangers. Some have been included in a guest information welcome pack of hotel products, some have been used as magazine insert 'tip-ons' to add extra weight and dimension to advertisements in hotel industry publications. Hotels have become more aware of "green" issues and our hotel supplies have been developed to tie in with this. The amount of energy consumed in doing unnecessary laundry is one area for address. Whilst the instruction to hang up your towels if you intend to re-use them the following day is fair enough, the instruction to throw towels in the bath if they are to be washed leaves the room looking somewhat untidy. A neater way of getting the message across is to use laundry preference wheels. 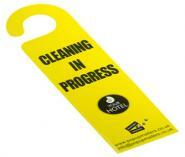 Making these informative hotel items part of your hotel accessories will please your house-keeping staff too. The multiple choice selectors are very easy to use and are available as a door hanger or as a tent card to sit on the dressing table in the bedroom. You only get one chance to make a first impression and our prestigious hotel key card holders will go a long way to making that impression a good one. By adding quality, information and brand awareness to the presentation of your hotel key card increases the feel-good factor in your guest’s stay at your hotel. 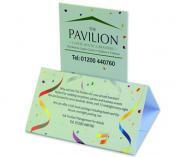 Quality Hotel Key Card Holders are an essential part of modern-day hotel supplies. By making stylish key card holders a central part of your hotel stationery and they will enhance your guests stay and assist your hotel loyalty programme. Hotel supplies don't need to boring. 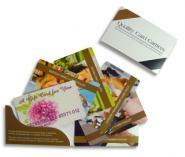 The Starburst family of products are perfect for passing on guest information and a location map or guide. These hotel poducts have a flamboyance with them that is very alluring and appealing. Being able to choose which size and design to use is part of the pleasure of producing individual and eye-catching hotel stationery. 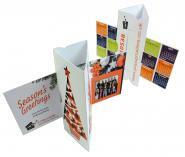 The Starburst products unfold in a very interactive way that ensures you have the readers’ full attention. Our hotel supplies for guest information are practical but engaging and suitableboth for guest rooms as well as public areas. The Mini Showcards, Tent Cards and Pop-top Cards have a new addition to the range of fabulous display cards from pop-up mailers – the Tent Topper. This design works hard when part of hotel supplies for menu cards, reception and desk-top advertising and in-room advertising. Adding “wobbly bits” to the Tent Topper adds another dimension and creates amusing hotel sundries. 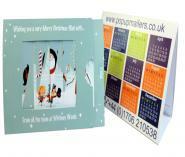 The Mini Showcard with wobbly bits is another brilliant idea for capturing attention in a very entertaining way.